If you’re among the hordes of college football fans traveling to Atlanta for the Chick-fil-A Peach Bowl, you should probably (read: definitely) book a couple of extra days—or maybe even a week—to explore the city. Though we might be a little biased, we’re confident that once you’ve arrived in Georgia’s capital city, you won’t want to leave. 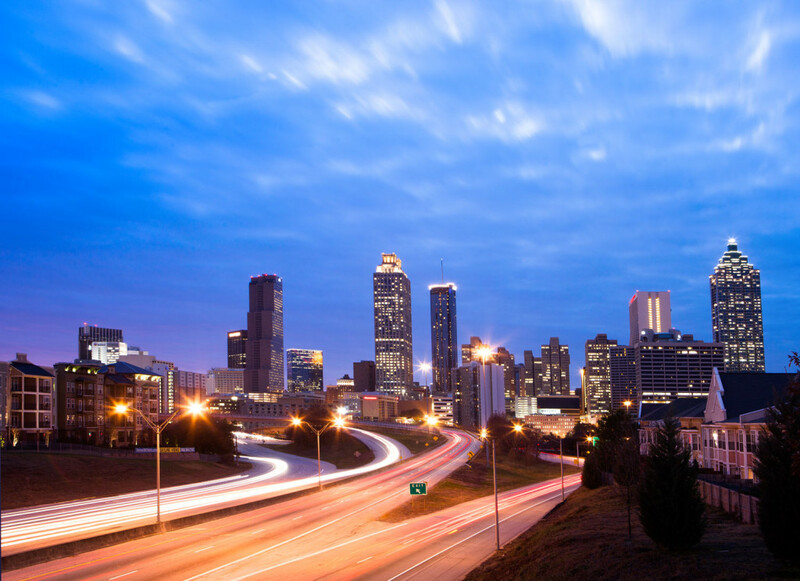 Atlanta has big city elements that all urban dwellers look for, as well as acres of green spaces and public parks. It’s remained acutely aware of its history even as it’s continually reinvented itself. (Think of it as the U2 of major American metropolitan areas.) But what does that mean if you’re visiting? Well, for starters, that you’re going to have a blast during your stay—no matter how long it may be. With tens of thousands of college football fans ready to descend on the city—and because, well, we just love our hometown so much—we asked our most knowledgeable friends, family members, and co-workers to name their favorite and most beloved Atlanta institutions. Consider this your insider’s guide to everything Atlanta has to offer. The College Football Hall of Fame and Chick-fil-A Fan Experience: The hall of fame in Downtown Atlanta is a college football fan’s dream, honoring 1,100 of the sport’s all-time greatest players and coaches. The Chick-fil-A Fan Experience (as documented by our friends at Coca-Cola) lets visitors experience firsthand what it’s like to be a college football player, offering all kinds of interactive exhibits as well as a 45-yard replica football field they can use to test their football skills. Turner Field: Built for the 1996 Summer Olympics, Turner Field has been home to the Atlanta Braves since 1997. The ballpark, which quickly became a model for other Major League Baseball teams, is a must-visit for anyone hoping to catch a glimpse of its brick-clad exterior: It will only be home to the Braves for one more baseball season, at which point the team will move to a new facility being built just north of the city in Cobb County. The Georgia Dome: The home of the Chick-fil-A Peach Bowl for the 23rd year in a row, the Georgia Dome also plays host to the NFL’s Atlanta Falcons. The stadium, where more than 71,000 screaming Florida State and University of Houston fans will soon gather, offers tours of the sprawling complex to visitors. 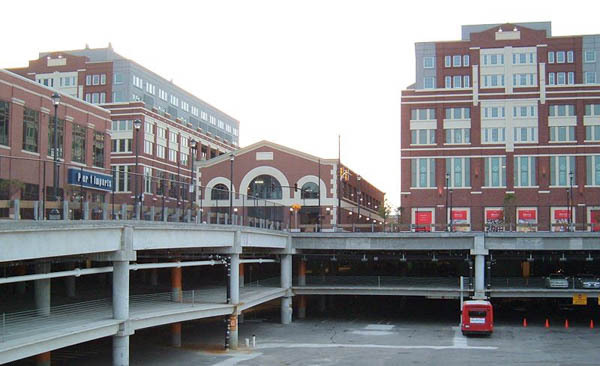 Atlantic Station: One of Atlanta’s largest shopping and entertainment complexes, Atlantic Station spans such a vast stretch of the city that it is considered its own neighborhood. The sustainable development just outside of Midtown offers retail stores ranging from H&M and the Gap to Ikea and West Elm, and it also features a winter ice-skating rink, movie theaters, and restaurants. Phipps Plaza: Anybody who really loves shopping will want to check out Phipps Plaza while visiting Atlanta. Located in Atlanta’s historic Buckhead neighborhood, Phipps Plaza is a shopping mall in the traditional sense, with a long list of retailers—Nordstrom, Saks Fifth Avenue, and Tory Burch, among others—and restaurants. Ponce City Market: Is it a shopper's paradise or a foodie's dream? Both. Located in Atlanta's historic Old Fourth Ward in the revitalized Sears, Roebuck & Company building, Ponce City Market is an eclectic mix of 25 boutiques and 23 restaurants. Shops range from artisan goods retailers like Citizen Supply to women's retailers like Madewell and everything in between. Don't miss the food hall -- it's quickly becoming the epicenter of the Atlanta food scene. Fernbank Museum of Natural History: The Fernbank Museum offers a constantly changing lineup of permanent and revolving exhibits, all of which are designed to be both educational and playful. Anyone interested in learning more about Atlanta’s past should make it a point to check out the museum, which features an exhibit devoted entirely to the city’s natural history. World of Coca-Cola: Coca-Cola is as connected to Atlanta as The New York Times is to New York, so it’s no surprise the beverage giant created a lasting tribute to its history and cultural influence in the city. Part museum and part testament to the company’s cultural impact, the World of Coca-Cola brings visitors along a journey of the company’s long and storied past. It also ends with a bang: The final part of the tour lets all attraction-goers try different Coca-Cola products from around the world. 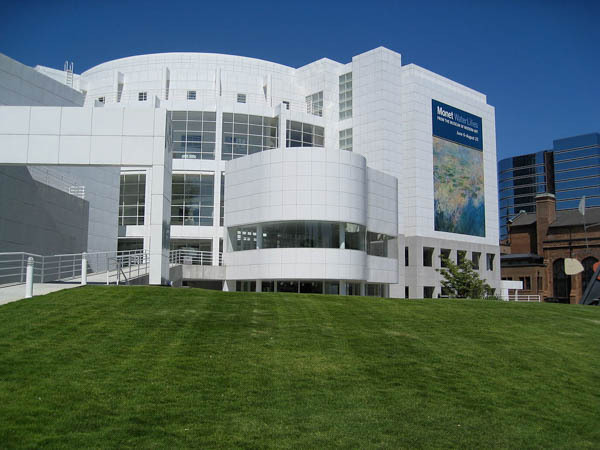 The High Museum: The High Museum is one of Atlanta’s hidden treasures. It’s a world-class museum in the heart of Midtown that features thousands of works of both classic and contemporary art in its permanent collection. Designed and conceived by famed architects Renzo Piano and Richard Meier, the museum itself is also a work of art. National Center for Civil and Human Rights: Known for its rich civil rights history, Atlanta is now home to the renowned Center for Civil and Human Rights. Visit this cultural attraction to explore the history of the American Civil Rights Movement and learn more about today’s Global Human Rights Movements. 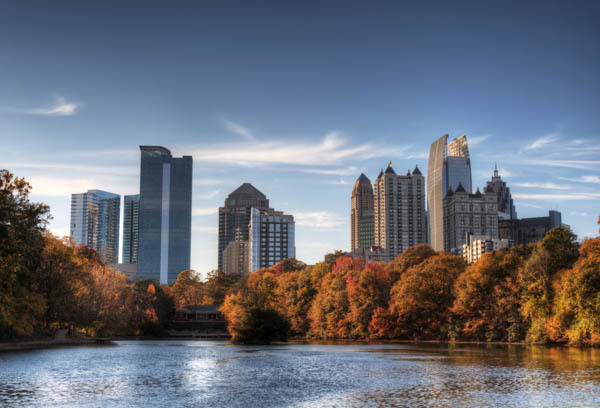 Piedmont Park: There’s a reason Atlanta is nicknamed “the city in the forest,” and it’s because of the city’s huge number of trees and green spaces. Known as the Central Park of Atlanta, Piedmont Park is the city’s best-known and most impressive public recreation space. The Atlanta Beltline: The Beltline is a continuous 22-mile trail connecting 45 in-town neighborhoods throughout Atlanta. Recently recognized as the best environmental rehabilitation project in the world by the International Real Estate Federation (FIABCI), it’s an ambitious, ongoing project in the city that’s converting formerly abandoned spaces around Atlanta’s perimeter into public parks, housing, and other developments. Portions of the project have already been completed, with acres of public green space now open to the public. Snow Mountain at Stone Mountain Park: Check out one of Georgia’s biggest attractions, Stone Mountain Park, and its seasonal Snow Mountain. Build a snowman, go tubing and get in a snowball fight, just 15 miles outside the city. Gunshow: Atlanta has become a food mecca over the past decade, and one of the restaurants that’s helped elevate the city to culinary greatness is Gunshow. Owned by Top Chef finalist Kevin Gillespie, Gunshow features an ever-changing menu that’s heavy on locally sourced foods and chefs who present their culinary creations tableside. However, if you want to eat at the critically acclaimed restaurant, make sure to reserve a table ahead of time, as tables book up fast. BoccaLupo: Italian food is a type of cuisine that is difficult to master. BoccaLupo, though, has mastered it. The Inman Park restaurant serves up all kinds of Italian specialties, from the familiar to the modern, without missing a beat. The Original Chick-fil-A Restaurant: Since no trip to Atlanta is complete without a delicious meal with a side of history, a trip to the original Chick-fil-A should be on anyone’s itinerary. Located in the city’s Greenbriar Mall, Chick-fil-A’s first restaurant has been serving hungry customers our world famous chicken sandwiches since 1967. The Varsity: “What’ll ya have?” That’s how you’ll be greeted at The Varsity—the world’s largest drive-in restaurant—which offers slaw-topped hamburgers, hot dogs, French fries and other signature menu items like the Frosted Orange. Just down the road from Georgia Tech, this stop for southern comfort food is an Atlanta institution. Krog Street Market: Described by famed Atlanta Chef Ford Fry as an "epicurean destination," Krog Street Market in the historic Inman Park neighborhood is a go-to spot for local fare. Whether dining in Fry's restaurant Superica, grabbing some dumplings at Gu's, or finishing it off with dessert from The Little Tart Bakeshop, the market has a little something for everyone. Walk off your meal by stopping in the boutiques after you eat. Chick-fil-A Peach Bowl Parade and Chick-fil-A Peach Bowl FanFest: Kick off game day in the heart of downtown to experience the pageantry of floats, classic cars, cheerleaders, mascots and award-winning marching bands that make up the Chick-fil-A Peach Bowl Parade. Follow the parade into the Georgia World Congress Center for the Chick-fil-A Peach Bowl FanFest where there will be games, food and a pep rally for the Florida State Seminoles and the Houston Cougars. Georgia Aquarium Chick-fil-A Peach Bowl Fan Night: Gather with fellow football fans for a pre-game pep rally at the world’s largest aquarium. Sing along to your team’s fight song while surrounded by dolphins, belugas and 10 million gallons of water. Tickets available online. Macy’s Pink Pig: Take your kids for a ride on Priscilla, Macy’s famed pink pig that runs atop Lenox Square Mall. The seasonal ride has been chugga-chugging along every holiday since 1953 when it debuted at the Rich’s downtown store. A beloved Atlanta tradition, the ride is open through January 3rd. For more attractions and Atlanta on New Year’s Eve events, visit http://www.atlanta.net/events/seasonal/new-years-eve/. Enjoy the Chick-fil-A Peach Bowl on Thursday, Dec. 31 at 12:00 p.m. EST at the Georgia Dome in Atlanta (secure your seat at the Chick-fil-A Peach Bowl by clicking here to purchase tickets) or tune into the national broadcast on ESPN. Atlanta Public Schools (APS) elementary students will soon experience a whole new way of learning, thanks to an innovative literacy initiative being introduced to the school system this summer. Starting this week, APS teachers will receive training in the Orton-Gillingham approach to literacy—a scientifically proven method that uses instruction in sight, hearing, touch and movement to help students connect language with letters and words. The Institute for Multi-Sensory Education (IMSE) will run the training sessions, where teachers will learn how to incorporate this approach into their daily lessons. Very Superstitious: The Secret to Winning? Whether you are a college football fan, or pro sports is more your thing, you may have noticed that your favorite athletes are a bit, well, superstitious.